But I personally sell them around 40-60% of the maximum price as it is just a means for a quick sale. 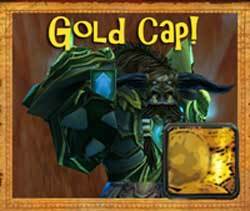 Now changing these into Keystones is heavily RNG dependant and I am in no way saying this will make you rich compared to other ways, but I have done this for almost 4 week now on a MoP account with no trouble. On a side note, if you stick alchemy and level it to 525, opening Canopic Jars (created from tol'vir solves) has a small chance to contain the Vial of Sands recipe that you can then Sell crafting work for abit of side gold, or crafting it yourself. I figured this out after I had opened around 17 so i'm still yet to find this recipe, Although for getting this recipe this method is very well known. I don't claim to finding any of this first, but I did find this out by myself after struggling to find a unique way to create gold on a MoP account.